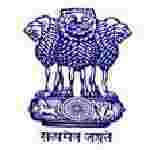 UPSC engineering services recruitment 2016-17 notification apply online : Union Public service commission (UPSC) welcomes application for the position of engineering services examination 2016 for all the applicants qualified on the basis of result of the written part of the engineering service examination 2016 vacancies.The individuals who are the occupation seekers searching for govt employments in India this is the best chance to apply. Competitors read the official notification then read all the guidelines and miners precisely then apply before the last date online application got. All the interested and eligible candidates can apply online before 16th August 2016. Candidates Age Limit: The age of the candidate should not be less than 21 years and should not be more than 30 years as on 1st January 2016. Academic Qualification Details: Candidates should have degree in engineering from a university or passed section A and B of the institution examination of the institution of engineers (India) or obtained a degree / diploma in engineering from such foreign university / college / institution and under such conditions as may be recognized by the government for the purpose from time to time or passed graduate membership examination of the institution of electronics and telecommunication engineers (India) or passed associate membership examination parts II and III / section A and B of the Aeronautical society of India or passed graduate membership examination of the institution of electronics and radio engineers / London held after November 1959. Official website: All the interested and eligible candidates can apply through official website of Union Public service commission UPSC www.upsc.gov.in from 3rd August 2016 to 16th August 2016.